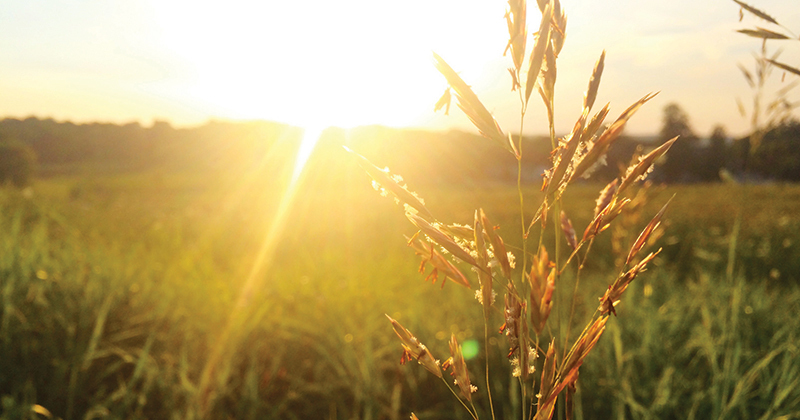 The South Australian government are maintaining a ban on the cultivation of GM crops. Non-GM canola in Kwinana receives a premium $30.7 on average over Adelaide. On Thursday, I will be presenting to the Crop Science Society of South Australia on the topic of GM crops, and the markets associated with them. I thought this was therefore an opportune time to look at the GM moratorium, and whether the promised premiums are available. In figure 1, the Canola price in Adelaide & Kwinana is plotted. 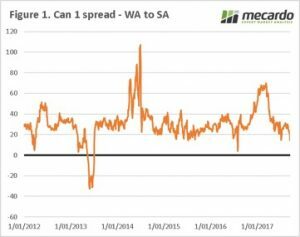 As we can see from the start of 2012 to present, the WA crop tends to trade at a premium to SA. The average spread between Kwinana and Adelaide is A$30.7. This is a relatively simplistic viewpoint, as there are logistical benefits of shipping from WA. Nevertheless, this still points towards the GM ban providing a premium. The South Australian government may point to a knock-on effect where other commodities are receiving a boost. In that case, we thought it was worthwhile checking how strong the premium for cattle and lamb had been due to being from a GM free state. 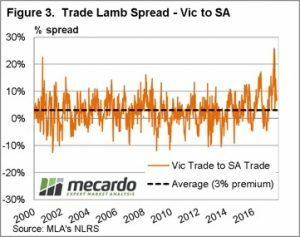 In figure 2 & 3, the trade steer and trade lamb for Victoria and South Australia are plotted. I have chosen Victoria as a comparison, as they operate in similar markets. 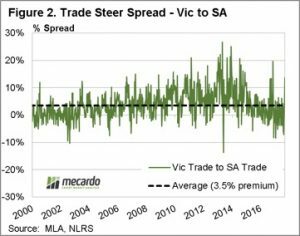 As we can see over the course of time there is a premium in Victoria for both cattle (3.5%) & lamb (3%). These highlight, albeit in a simplistic manner that mixed farmers in South Australia do not on average achieve a strong premium in either canola or livestock due to the ban on GM cultivation. The South Australian ban on GM cultivation is providing little if no extra premium to prices of livestock and canola. There may be premiums in other sectors such as the seafood and wine industry, however this is of little comfort to canola producers. At present the South Australian govern believes that GM crops could have negative impact on premiums. However, it is important not to assume, and it would be beneficial for an independent research piece to be conducted examining all factors and determining in full where the premiums are. At present producers do not have access to all the tools to help manage their crops, and evidence has shown from around the world that GM and Non-GM crops can co-exist. If there are no premiums available to these growers, then they are effectively subsidising other food industries.